If you step into my apartment, you'll find my walls covered in art. 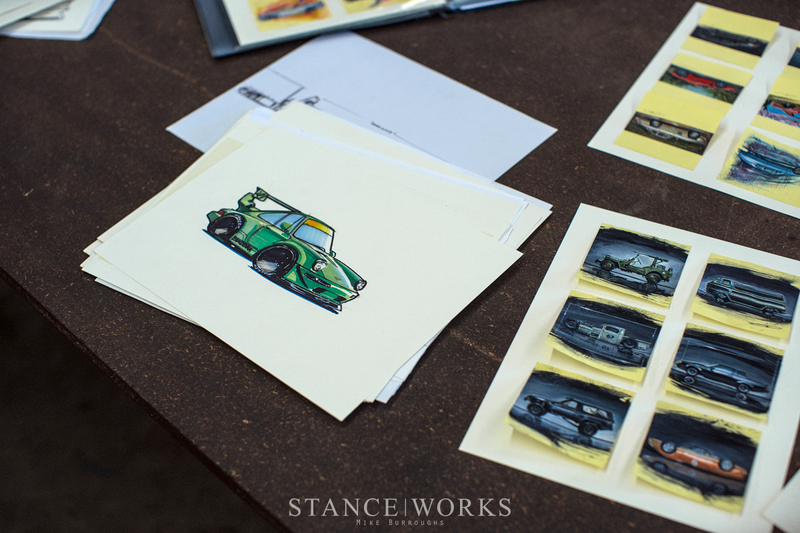 Much to the chagrin of my lovely, patient, and understanding girlfriend, the art is almost entirely automotive in nature. 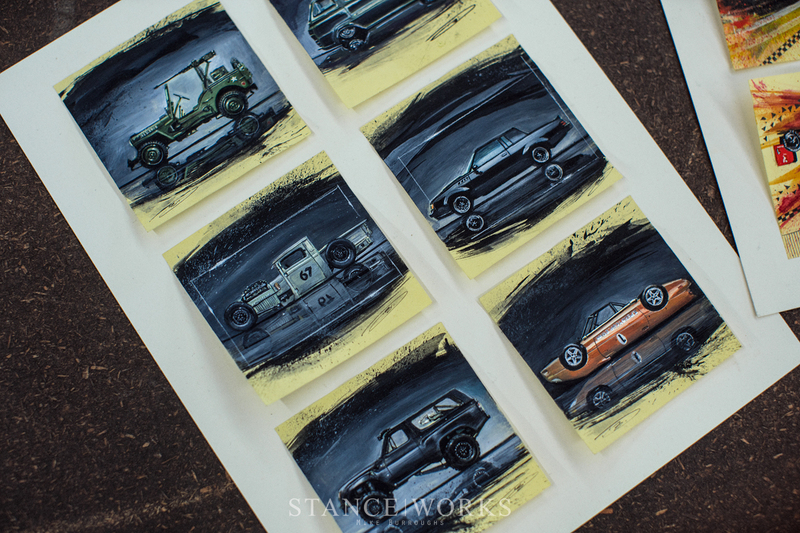 From enormous original '70s and '80s Le Mans poster prints measuring several feet in size, and Andrew Ritter's own series of art prints that take up a full wall, to small vintage automotive print ads, and even a few pen-and-ink collectables, my amateur collection runs the gamut of styles, colors, and sizes too. Some of my favorite pieces, though, may be a bit harder to spot. 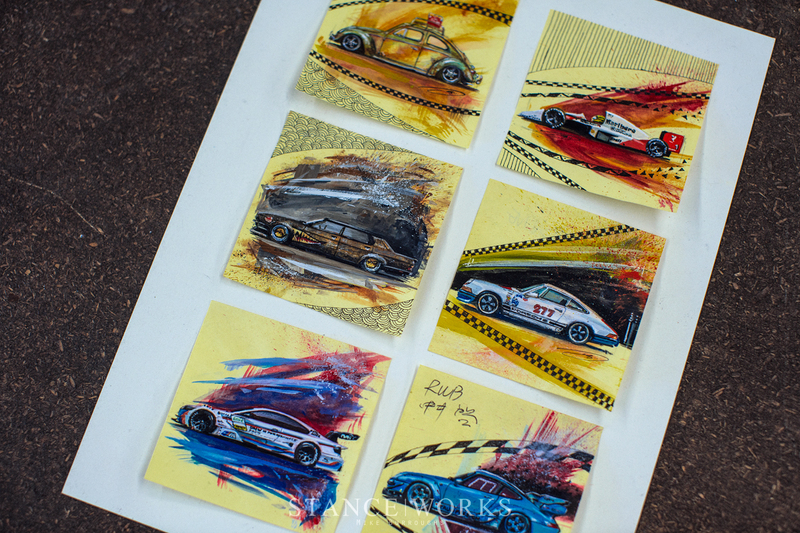 Within the smallest frames on my wall, measuring just 3-by-3 inches, are a handful of pieces by one of the most talented artists I've had the privilege of meeting: Doug Breuninger. 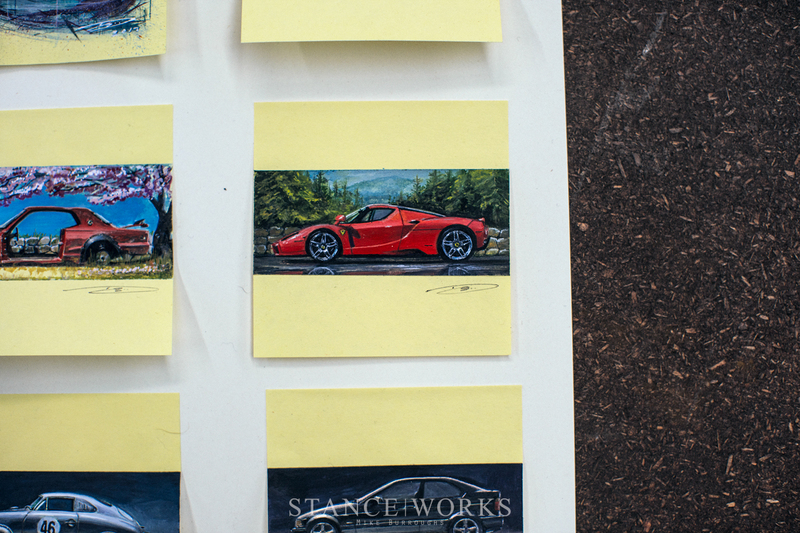 Doug has earned himself a bit of notoriety centered around his ever-growing catalogue of cars, hand-drawn and painted upon Post-It Notes, suitably titled "Notable Rides." 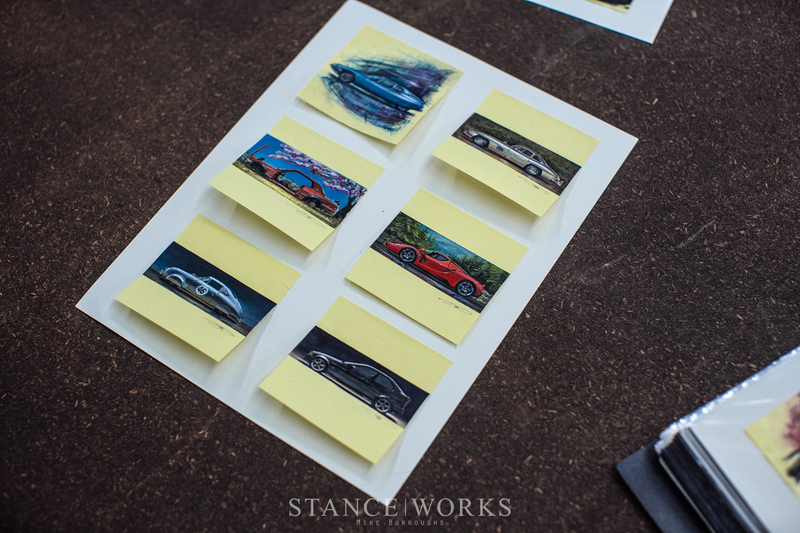 Now in the 5th "chapter" of the series, putting him well past 200 total Post-It pieces, Doug has managed to assimilate a collection of both real and dream cars that does more than simply provide a pint-sized artistic take on the cars we've all grown to know and love. 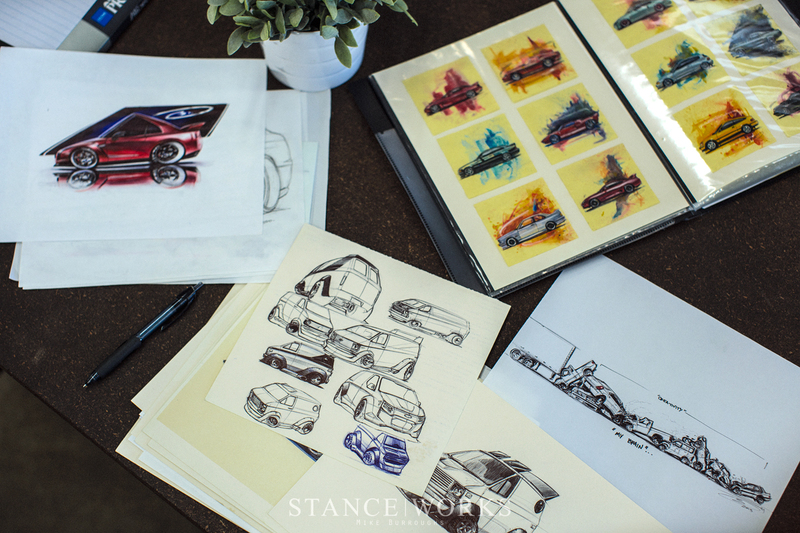 Building upon that, he's managed to chronicle and share the cars, the stories, and the art of the car community he's entrenched himself within over the past half-decade. 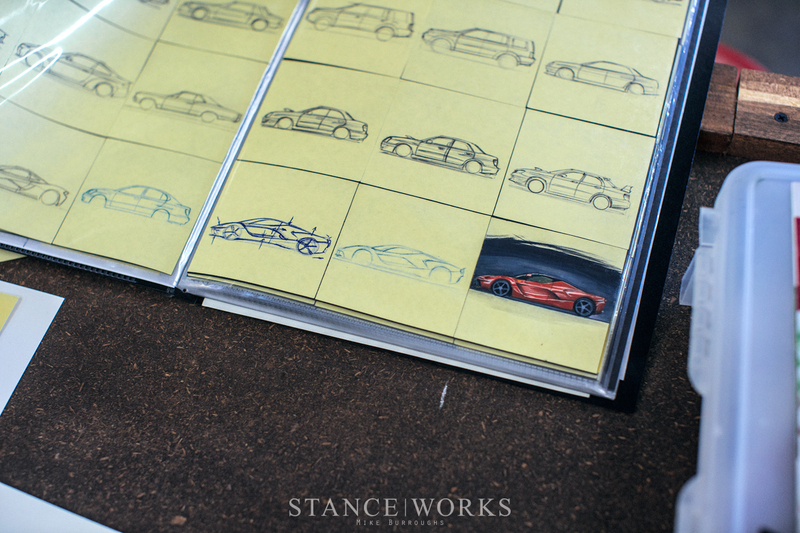 Doug recently paid a visit to the StanceWorks HQ, giving me the opportunity to flip through the full catalogue of his work, ranging from the earliest pieces to his latest works in progress. 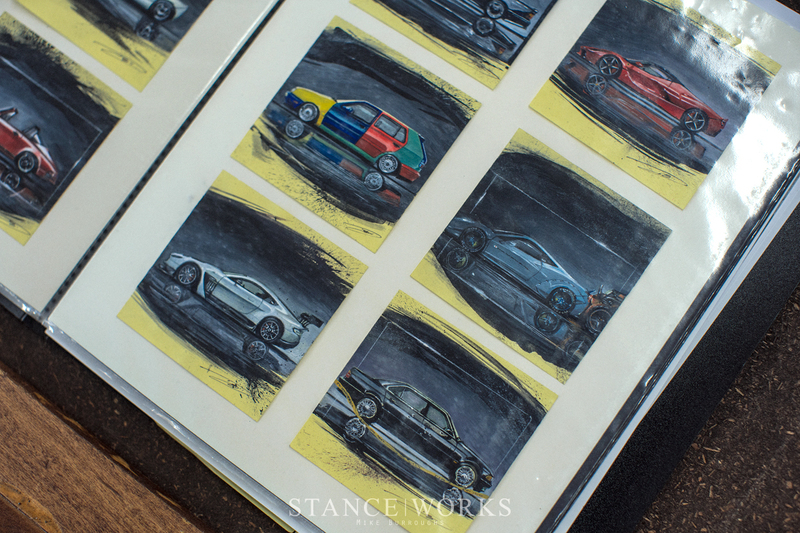 The evolution of his style is concise and clear, with each chapter of the series separated by its own vision, aesthetic, and execution. 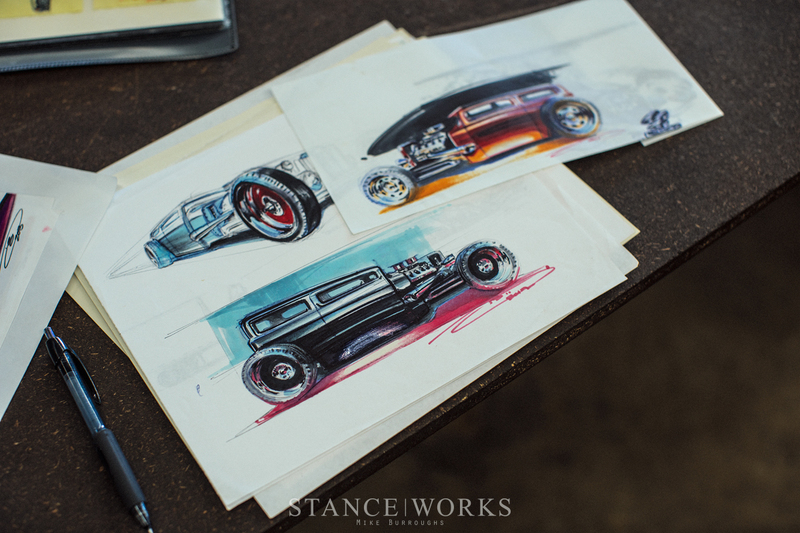 Throughout the series, Doug has inked out a plethora of cars that have, in one way or another, made an impact upon the car community, or at minimum, Doug himself. 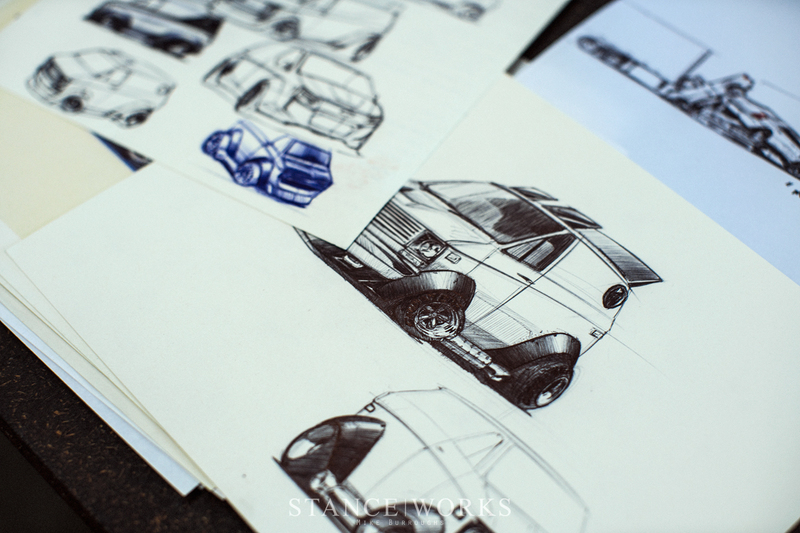 From local heroes to full-blown automotive legends, there's a bit of everything within his body of work: famous race cars, trend-setting show stoppers, machines from history, and even a few rides of my own... humbling to say the least. 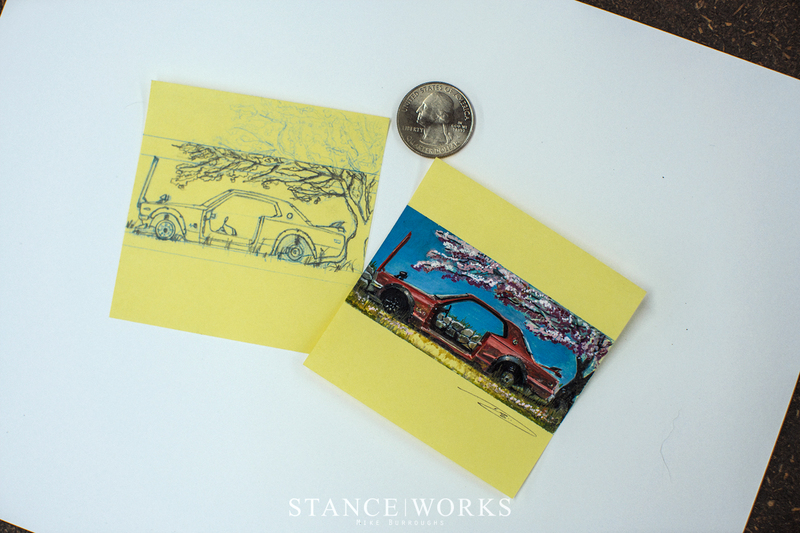 Much of what makes his work impressive stretches beyond the caliber of the work itself, extending to its incredibly small scale. 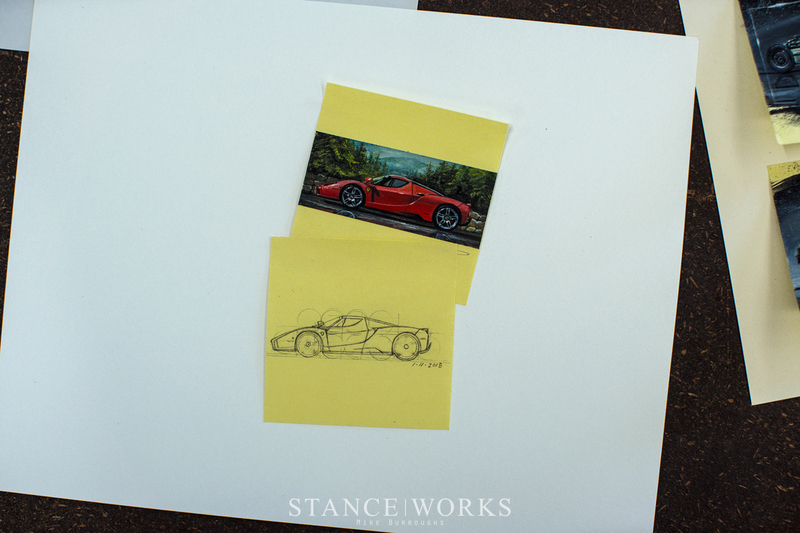 With each Post-It measuring out to just three inches square, it's almost tough to comprehend just how Doug manages to squeeze so much detail into each and every piece. Chapter Five of the series, his latest, manages to incorporate more detail than ever before, with full-colored lifelike backgrounds that improve upon the story-telling nature of each and every piece. 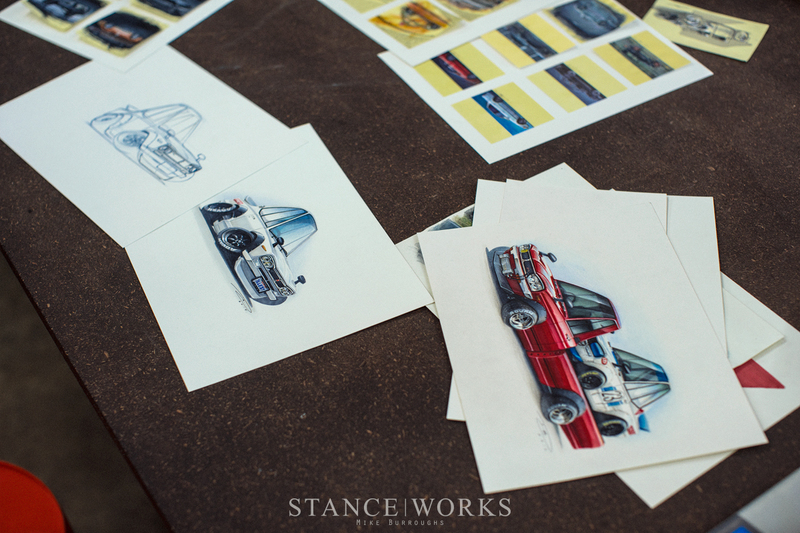 Doug's arrival at the shop provided another opportunity too: the chance to see the other half of his work. 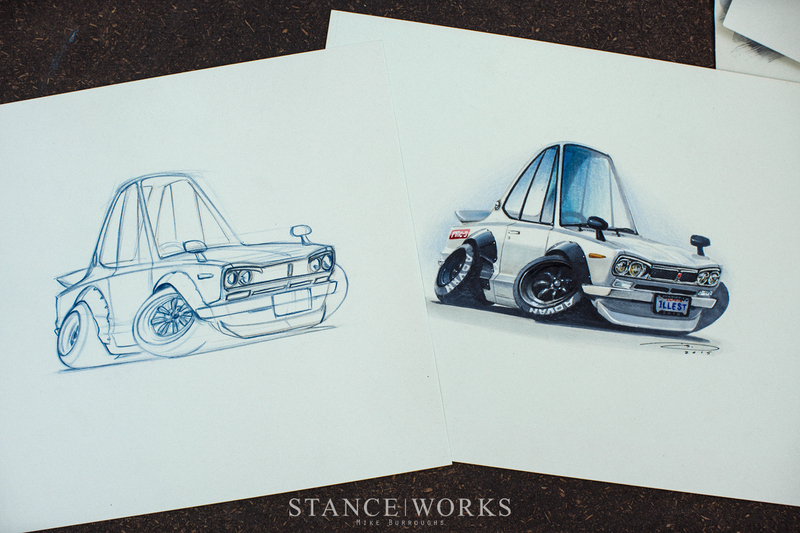 From pieces of his "toon" series, to sketches and drawings on scrap pieces, in all stages of completion. 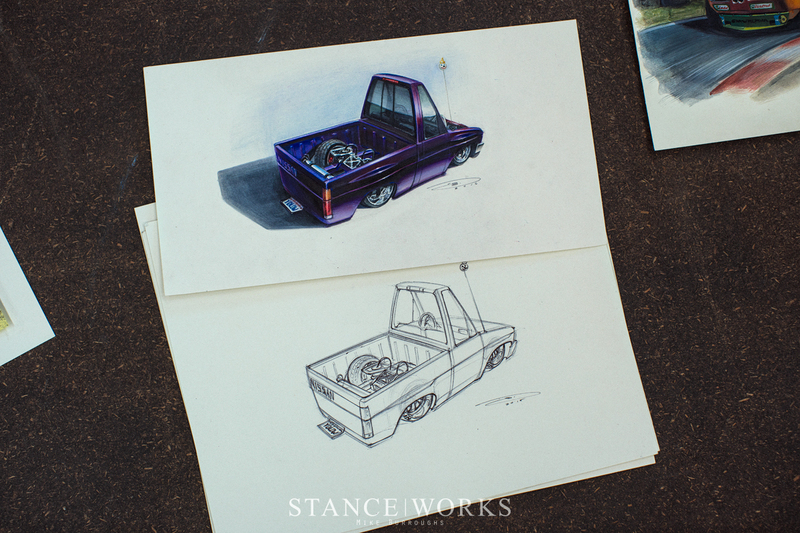 Doug's talent scales far beyond the miniature format he's chosen for most of his work, with the detail, vibrance, and artistic nature itself all coming to life with the size of each piece.